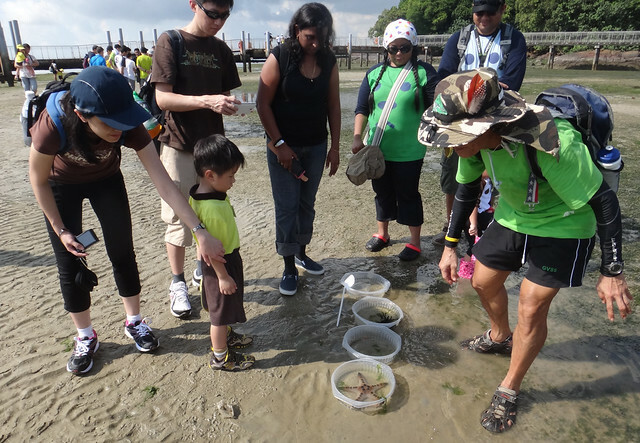 Experience Singapore's seashore heritage! At Pulau Ubin with Pulau Sekudu. Photo from State of Motion. 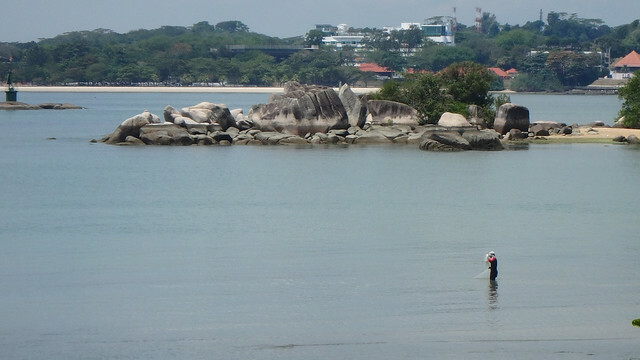 A local legend goes that a frog, a pig and an elephant raced each other across the Johor Straits. 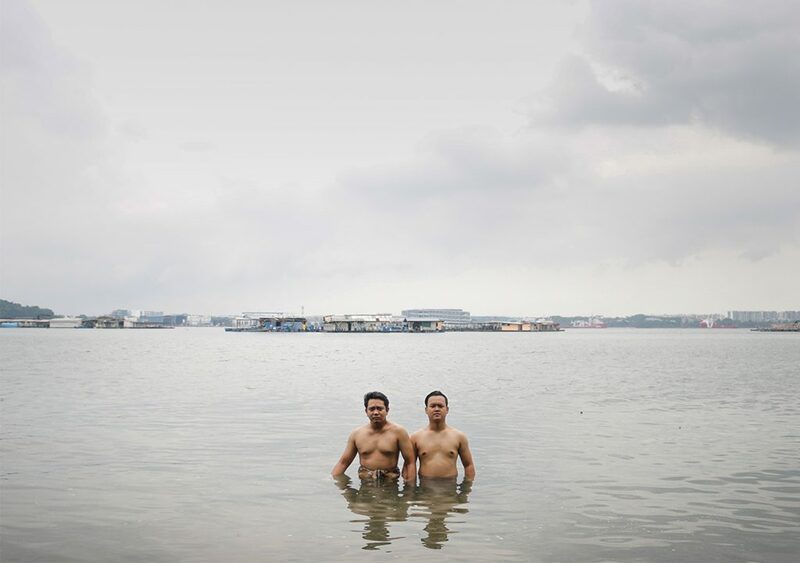 They didn’t make it to the opposite shore and ended up as islands, with the pig and elephant becoming Pulau Ubin (literally Granite Island; actually made up of two islands), and the frog transforming into Pulau Sekudu (literally Frog Island). 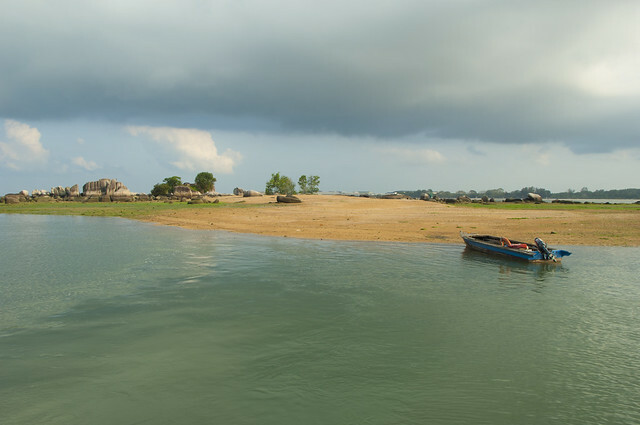 An islet lying just off the Chek Jawa wetlands, Pulau Sekudu is well-visited by nature enthusiasts during low spring tides to make records of the abundant sea creatures. 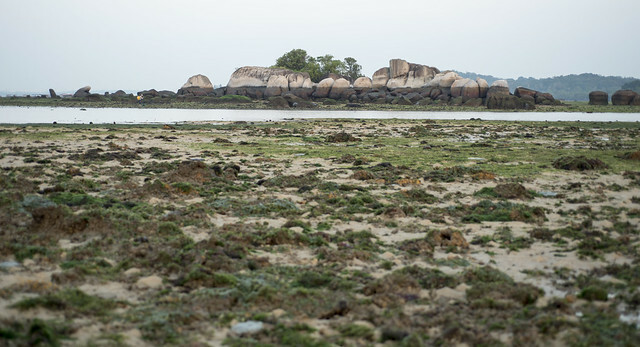 From a distance, the islet’s most distinctive features are the granite rock boulders that rise picturesquely above the intertidal waters and sandy flats. Barring weathering and erosion over time, these rock formations have stayed more or less the same over the decades. We know this from films that used Pulau Sekudu as a film location in the past. 1956’s Hang Tuah features a young, courageous Hang Tuah who leads his friends to a Pulau Sekudu to ambush a gang of pirates. 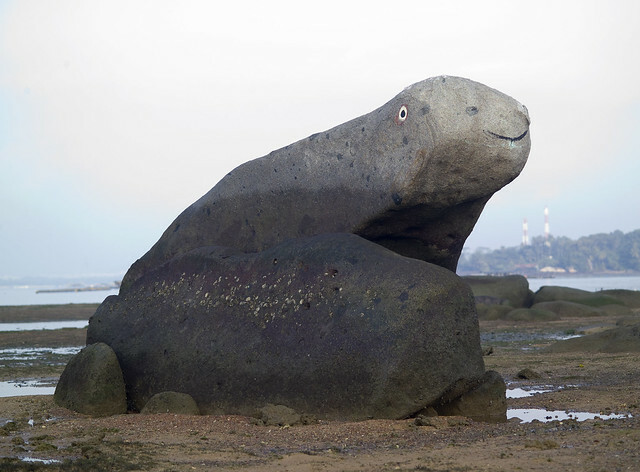 In 1961’s Hang Jebat, a revisionist response to Hang Tuah, the adult titular character (“returns” and) sits atop the rocks of Sekudu and contemplates a revenge for his maligned sworn brother Hang Tuah. Tiny Pulau Sekudu lies just off Chek Jawa on Pulau Ubin. 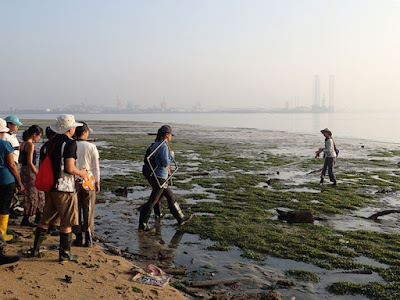 It is part of the Chek Jawa Wetlands that is managed by NParks. Pulau Sekudu is off limits since 2007 and requires special permission from NParks. Pulau Sekudu got marine life meh? Yes! 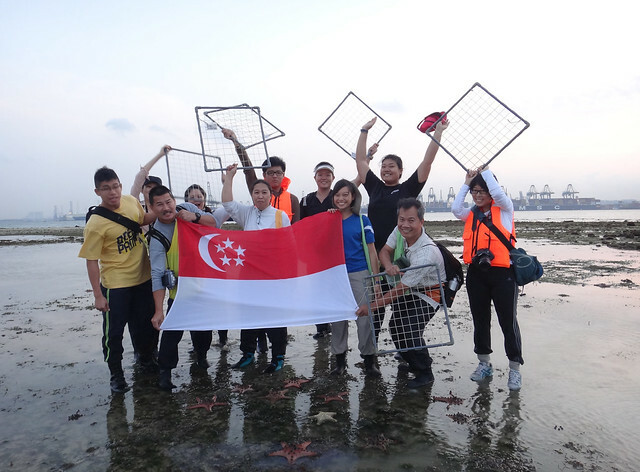 A small team of volunteers have been surveying biodiversity at Pulau Sekudu regularly. 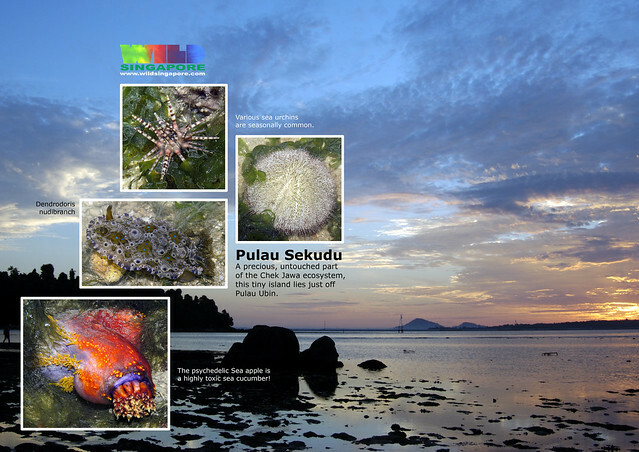 Here's what they saw on Pulau Sekudu. 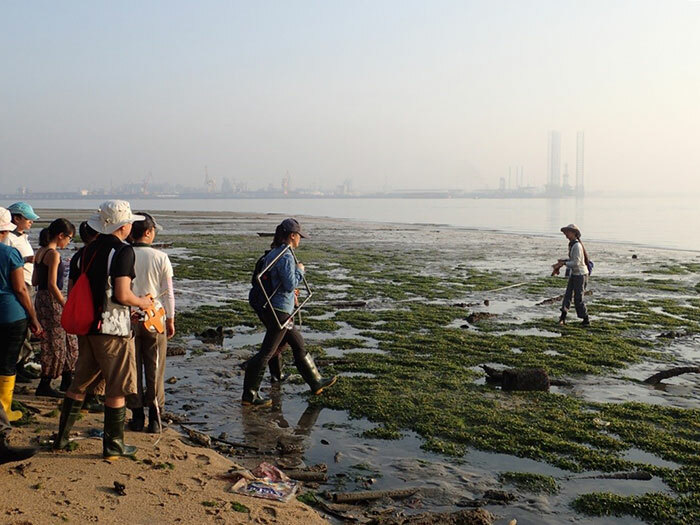 Volunteer for this citizen science programme to regularly collect quantitative data of intertidal biodiversity on several Singapore shores. More details by NParks. We'd love to hear YOUR Pulau Sekudu stories! Please share them in the comments below.